The Stokke® Sleepi Colgate-made foam mattresses are ranked number 1 by Consumer Reports. NaturesWeave open air construction, for maximum airflow and pressure relief. Firm, strong, and durable with a nontoxic cover and waterproof backing. Dissipates heat away from baby. 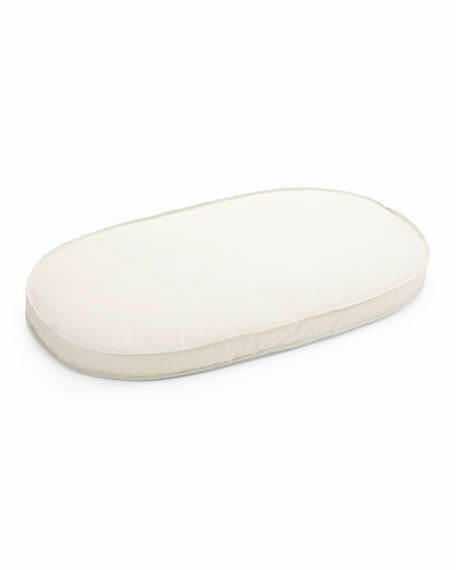 Inverted seam design provides a snug fit in the designed Sleepi crib and tight fitting sheets. For in-store inquiries, use sku #2447254.